Mobiles There are 3 products. 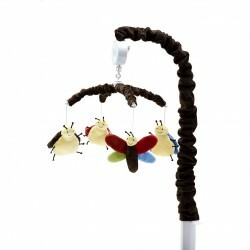 Dragonfly, ladybug and beetle plush animals rotate for visual stimulation. Wind-up musical box plays Brahms' "Lullaby" to soothe your baby. Sturdy stand covered in a matching fabric sleeve provides safety. 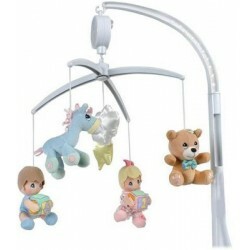 Fits securely onto any standard crib. 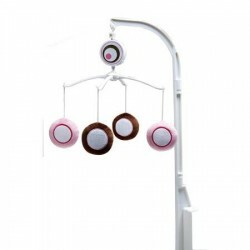 Musical Mobile provides motion, sound and color for baby's amusement and early sensory development.